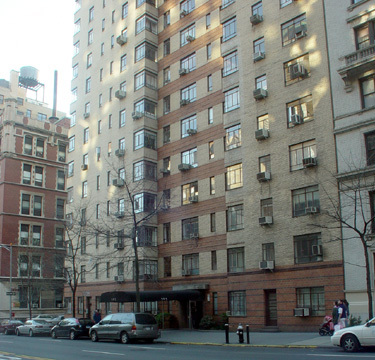 565 West End Avenue is an aristocratic Art Deco tower befitting the elegance and style of the neighborhood in which it is located. 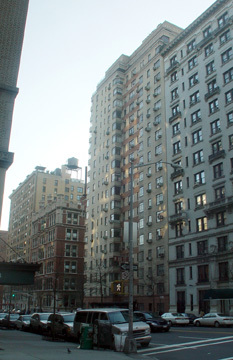 The building stands on the corner of West End Avenue and 87th Street. Typical Art Deco touchs are the corner windows, and the decorative horizontal banding enveloping the windows. The brickwork's horizontal banding is carried out also on the ground floor exterior. 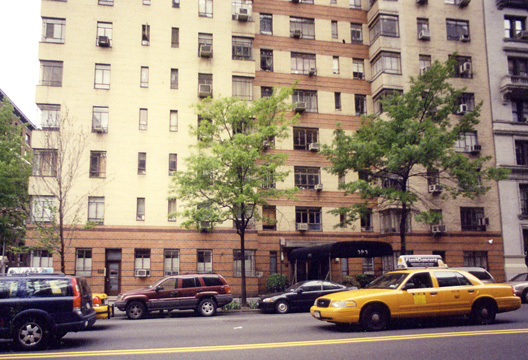 Unlike many Art Deco buildings in less well-to-do areas, 565 West End Avenue has kept its classic metal doorway. Notice the interesting assymetrical patterning of the metalwork in the transom. The building lobby is elegant but subdued. The architect was H. I. Feldman.